The casino is a holder of several awards: Best Casino Operator 2015, Best Digital Operator 2014, etc. There is no live chat. You already know that the support service is provided round the clock and that the live chat is missing. So, how can you get in touch with the support agents? There are two ways: talking to them on the phone and sending them an email. By the way, there are several toll-free numbers. The collection of games consists of the following categories: slots, jackpot slots, card games, variations of Roulette, and even some live games. In total, there are somewhere around 300 titles. That’s not the widest selection ever, but it is still pretty decent. The only thing is that we didn’t find any video poker games. 777 Casino offers a pretty cool variety of bonuses. For instance, as a newcomer, you can go for a 100% first deposit bonus, up to €200. 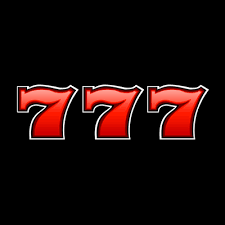 The 777 Casino bonus code is “WELCOME777”. To withdraw the bonus and your winnings, you have to wager the amount of the bonus 30 times. There are no 777 Casino free spins included in this offer. Apart from this, the casino offers an entire welcome package, which covers your first five deposits - it can bring you up to €1,500 in total! Check the casino’s website for more details. We have already told you that you have to be patient when withdrawing your money. Sorry for this, but we still have some good news for you. The list of banking methods is long enough! To make a deposit, you can use Visa, Mastercard, PayPal, Skrill, Paysafecard, Sofort, Neteller, EntroPay, and some other options. The list of withdrawal methods is a bit shorter: Visa, Maestro, Mastercard, Skrill, Neteller, PayPal, EntroPay, wire transfer, WebMoney, and iDebit.